Pakistan is noted as having some of the best trekking terrain in the world. 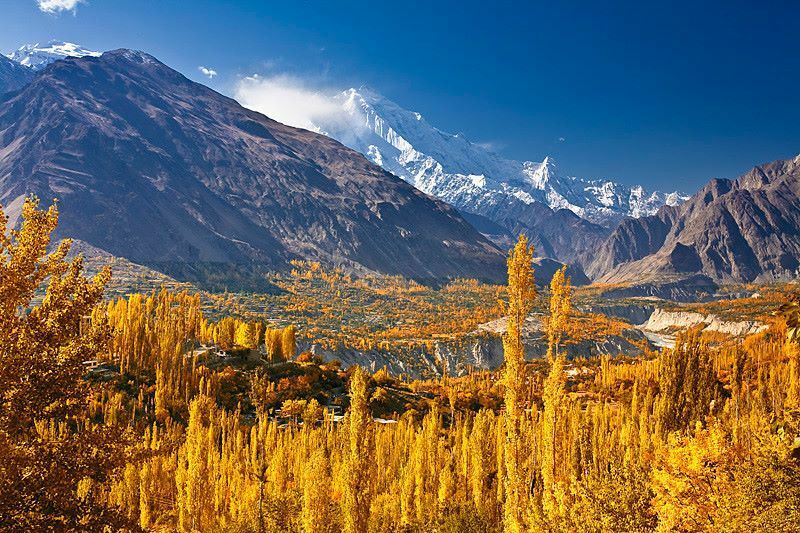 From hosting K2 treks to leading the Karakoram trail into China its rare that a country could top Pakistan for its breathtaking mountain views. These trails range from novice inclined to full scale 'Hiliary' type expeditions. 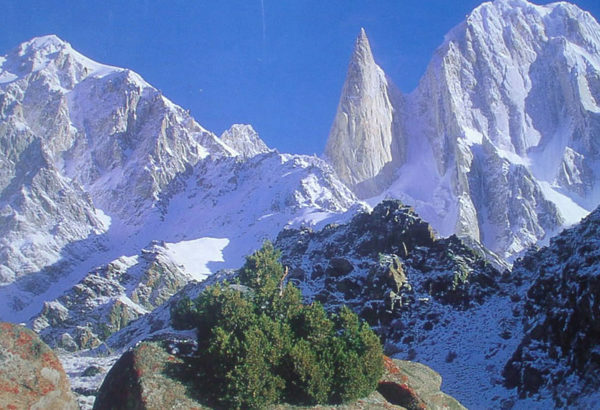 Unlike many other mountainous countries, Pakistan's ice capped trails are largely tourist free due to recent political problems. But the northern areas are renown for their peaceful and friendly inhabitants. Be prepared though. Not much, if any, equipment is available to buy in Pakistan. So make sure you bring your own equipment such as hiking boots, weather gear and anything else you might need on a trail. Pakistan uses the Rupee (Rs) which comes in the form of Rs5, Rs10, Rs50, Rs100, Rs500 and Rs1,000 denomination notes. There are also some lower denomination coins of Rs1, Rs2 and Rs5. A lot of the notes are quite battered and torn, some shop keepers will refuse to accept them. So it's best to refuse them yourself. There are ATMs scattered around most of the larger cities that accept VISA and MasterCard. But they rely on a satellite system to connect and this can often be off line. So its best to keep a stash of cash with you. Standard Chartered is a reliable bank and is in most of the main cities. Once past Chitral there are no ATMs. Money changers are plentiful. There are many variations in the climate in Pakistan, with very high mountains in the north, deserts in the south and southeast that receive little rain and of course the wet season in many parts of the country. There are three principal seasons. 1. From mid-October until late February is the cool season, when the weather is generally pleasant, sunny, and relatively warm by day but with chilly nights and occasional frost in some areas. There is some rain in the northern and western parts of the country. Temperatures in much of the country are around 25 °C during the day. Conditions in the higher mountains at this time are cold, with snow and extremely low temperatures high in the mountains. But temperatures in the south and center of the country rise to much higher levels. The heath is unpleasant despite the relatively low humidity. Some occasional rain may occur at this time and ther is also the possibility of dust storms at this time. 2. From March onwards to June the temperatures start to rise and in some places humidity increases as well. Jacobabad for example has the reputation of being one of the hottest places in the world from April until September. June is the hottest month with average daytime temperatures of 46 degrees Celsius and an absolute high of 53 °C! Nights are sometimes over 30 °C. 3. The rainy season over most of the country is from late June until early October. This is the season of the southwest monsoon and although temperatures are a little lower the high humidity makes this time not a very pleasant one to visit. Still, not all of Pakistan is equally wet during the rainy season. The wet season is most common in the eastern and central lowlands of the country, for example in Islamabad, where daytime temperatures of 35 to 40 °C are combined with almost 250 mm of rain in July and August. The desert region of the south and southeast receives little rain at this time and is sunny and hot. More towards the coast there is some relief of the heat but higher humidity makes things equally bad in for example Karachi.